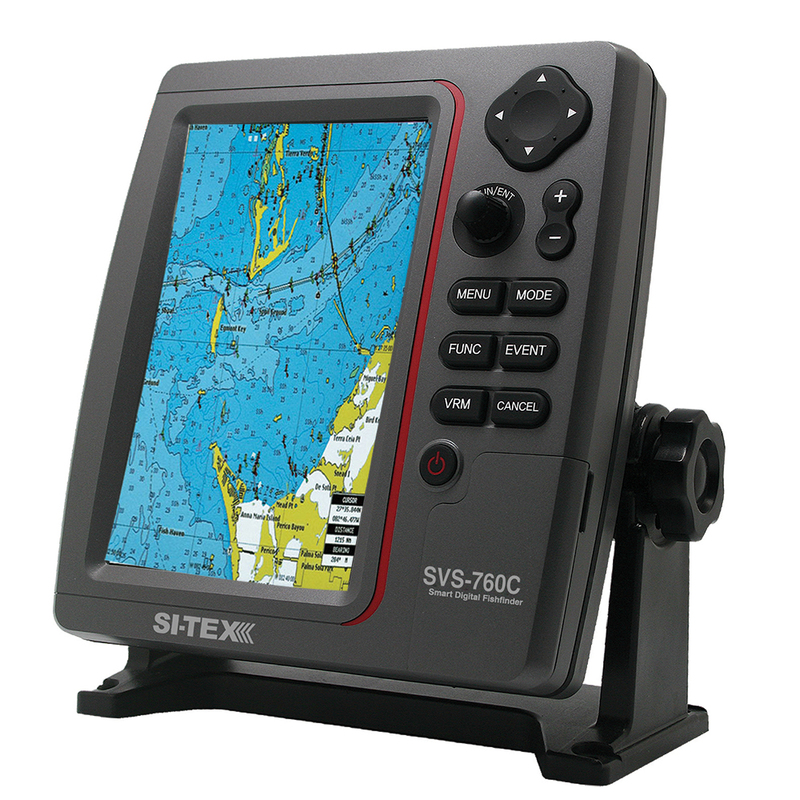 The SVS-760C is an extremely powerful chartplotter, offering the ability to run both types of cartography in the same machine, enabling boaters to select the platform that works best for their region, personal preference and specific boating needs on any given voyage. This machine also provides Navionics Sonar Chart Bathymetric recording capability, allowing boaters to survey their own areas and have this data added to the Navionics Sonar Chart Database. The unit is also Navionics Community Layer capable, allowing users to download the latest information for their chart area. The SVS-760C offers tremendous memory, with storage for 20,000 marks/waypoints, 100 routes and 50,000 track points. It is also designed for easy integration with SI-TEX's Metadata AIS module (or other AIS receivers) for enhanced situational awareness and safety at sea.